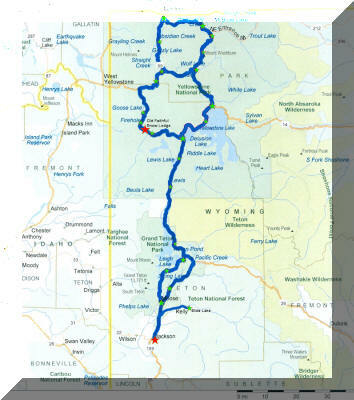 Welcome to Dave & Bill's Yellowstone Road Trip! 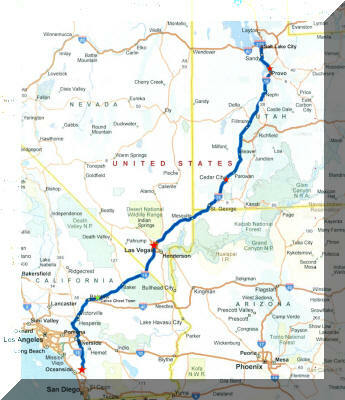 This road trip replaced two Crystal cruises that were scheduled for the fall. We decided to cancel the cruises and put off the booking until 2011 for a variety of reasons. If you know us at all you might be able to figure out for yourself what the main reason is, but we'll never tell. As of late January 20, 2010, we have booked our stay in Yellowstone National Park at the Old Faithful Snow Lodge. 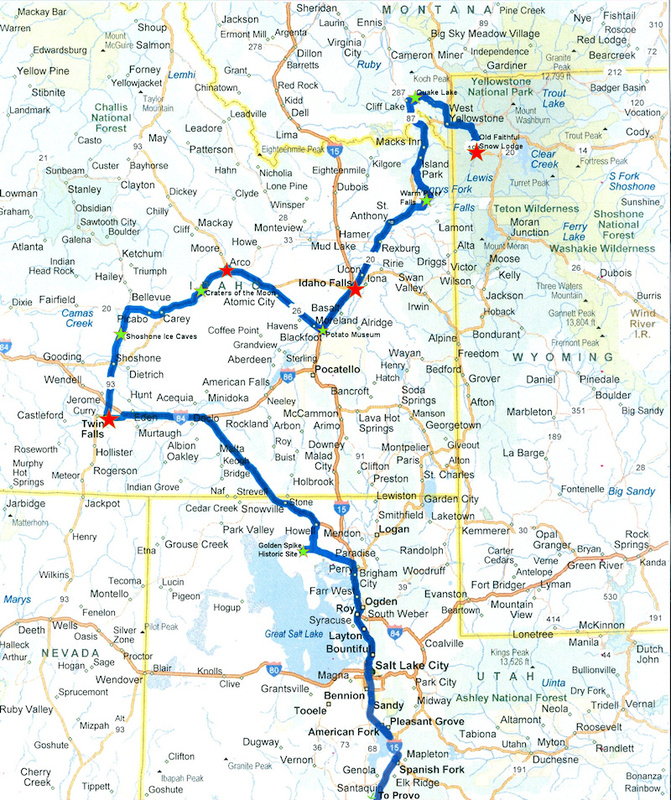 Everything else listed in the itinerary is subject to change as we research the points of interest between Salt Lake City and Yellowstone. 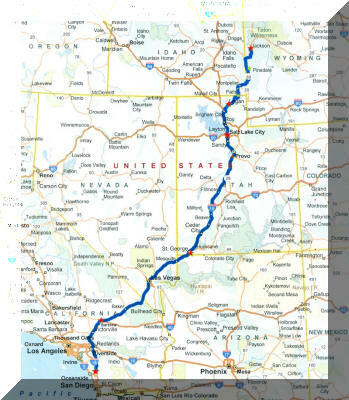 The plan is to make this a true road trip by stopping at every kitschy roadside attraction we can find along the way. We'll keep you posted as things begin to fall into place. 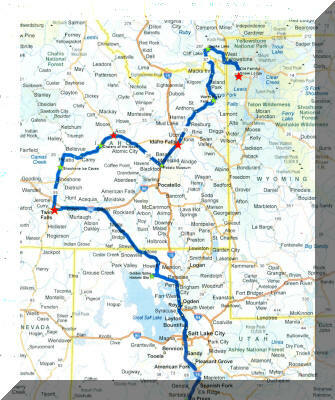 February 12 Update: We have firmed up our reservations for our stays in Twin Falls, Idaho Falls and Jackson. The car rental has also been confirmed with Hertz using the AAA discount rate. By signing up for a Hilton Honors American Express card we were credited with 40,000 points and elevated to Gold VIP for the year, so we'll get at least two of our nights free, plus a few free breakfasts and such. We also have enough points with Marriott (mostly due to using a Marriott Rewards Visa) to get a few free nights along the way. February 15 Update: Big changes have been made to our overall plan! 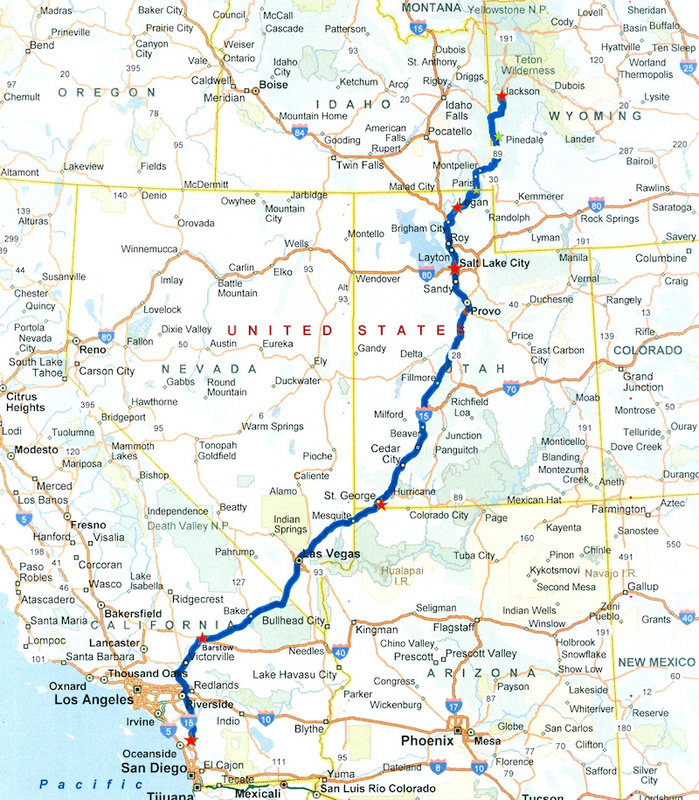 We were persuaded by two of our friends to do the entire round trip by car. By moving some dates around we managed to accomplish that by adding only six extra days to the trip. 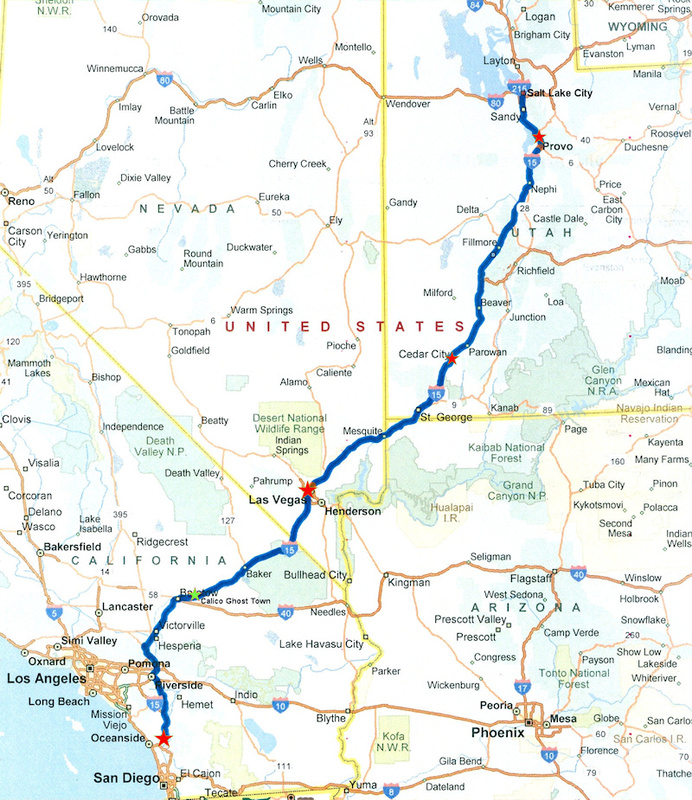 Of course, if we were anyone else, we could have done this entire trip in half that time, but we don't like to push it with the driving time each day and we prefer to stay more than one night in cities that have at least a few sights worth visiting. Besides cutting out the cost and hassle of a round trip flight, we also discovered that renting the SUV here and keeping it for 30 days cuts the price nearly in half. What kind of logic is that??? Hey, we're not going to complain since it ends up saving up over $1,000 overall even adding in the extra hotel stays. April 1 Update: We have once again picked up the planning after a few snags including a sick dog and a wrenched back. Hopefully we are back on track! A hotel reservation has been made for our overnight stop in Cedar City and we're inching closer to making a decision on a Las Vegas hotel. Links have been added to websites of various attractions and hotels we will visit in case anyone wants more information. April 12 Update: We booked the Venetian Resort Hotel Casino for our Las Vegas stay through American Express Fine Hotels & Resorts program. The price had finally dropped when we checked this week. FHR includes a room upgrade, free breakfast, late check-out and, at this hotel, a free lunch for two. Whether we actually get all of this remains to be seen, of course, but the only other time we used the program we were treated like royalty (in Montreal). The price we got was much less than booking directly with the hotel. In the weeks prior the price was the same either way, so the Amex deal is even better now with the extra amenities included. April 21 Update: We got lucky and found a "PointStretcher" deal at the Hilton Garden Inn-Downtown in Salt Lake City that gives us all three days free. Without this we would only have enough Hilton points for one free night, so this is a huge savings for us. May 2 Update: Final preparations are underway for our departure on Friday. The remaining open reservations will be made on the fly after we determine whether we want to rush home or dawdle along the way. May 5 Update: We picked up our rental SUV from Hertz today and were pleased to be upgraded to a full-sized, fully-loaded Ford Flex complete with satellite radio and leather seats (we had booked a Toyota RAV4, which was the cheapest SUV they offer.) Also, it sure does pay off to keep checking the hotel rates. The price for the exact same room at the Homewood Suites in Jackson, WY dropped by over $100 a night. It was overpriced to begin with, so it is still higher than the same brand elsewhere, but that's a significant drop and another big savings for us. That should do it for the pre-trip updates. Let's get this show on the road!! 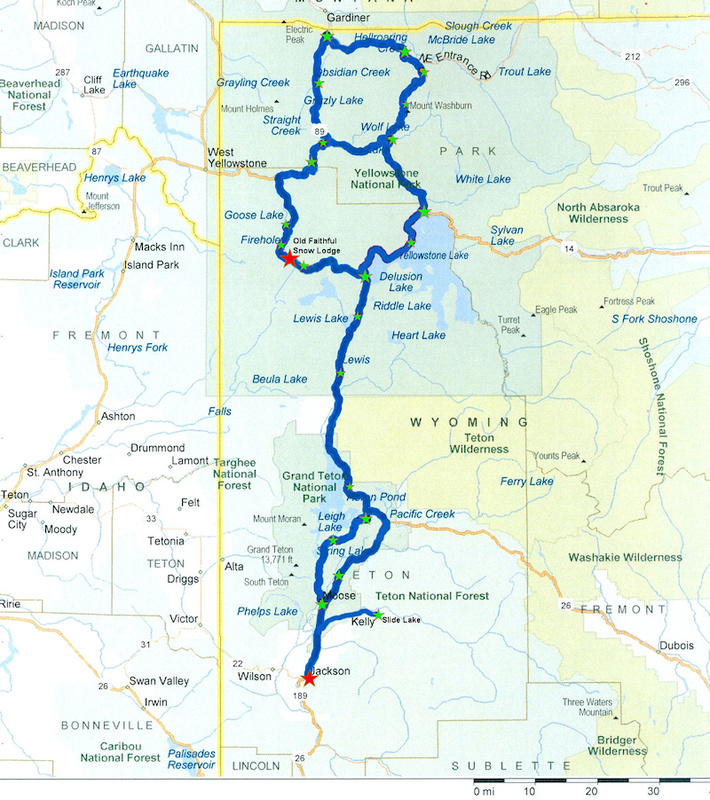 This adventure begins with Part 1 - Drive to Yellowstone.